Chickens could Work for you in your garden? Hens can feed on fresh grass as a lawn mover. Chickens eating insects in the garden too! 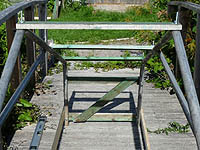 A chicken tractor is a movable chicken house without a floor. It's a permaculture tool! Information on a portable chicken coop? 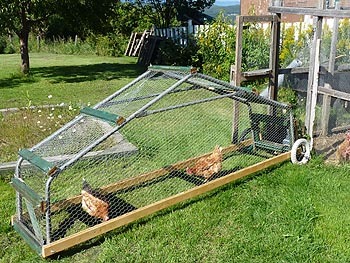 Turn old tempo car shelter frame into a chicken tractor! 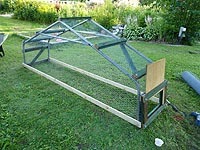 See this small mobile chicken coop building guide.